1) Tea Olive. 445 yards. ON THE TEE!! You. Knees shaking, palms sweating and 445-yards of uphill terror lying in front of you. Scrape it away avoiding the bunker up on the right and then the hole dog-legs right and you have a mid-iron to a green where all you’re thinking is ‘middle, middle, middle’. Welcome to the longest four hours of your life. Fact: Jock Hutchison and Fred McLeod were the first honorary starters in 1963. 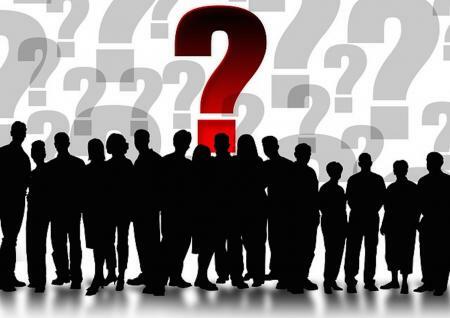 Neither man won The Masters, but each did win the Senior PGA Championship, which were played at Augusta National Golf Club. 2) Pink Dogwood. 575 yards. Hopefully you’ve got rid of your butterflies and can tank one straight and true to set up an early birdie. 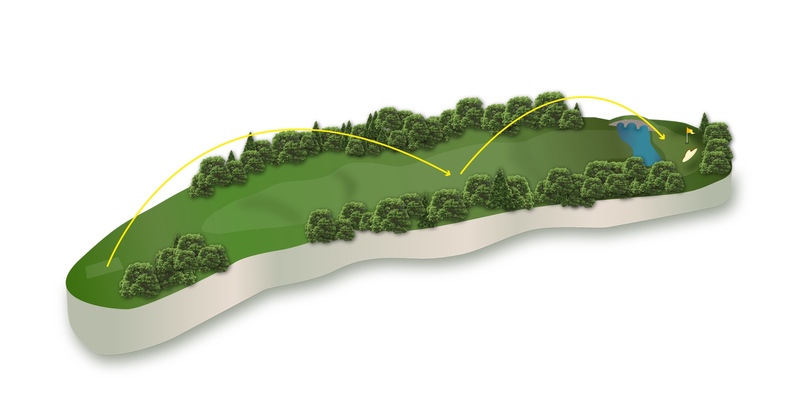 Anything left is in trouble and it’s one of the toughest greens on the course, so unless you’re 100% sure, the lay-up is the best way to get at the pin. Fact: Used to be called Woodbine. 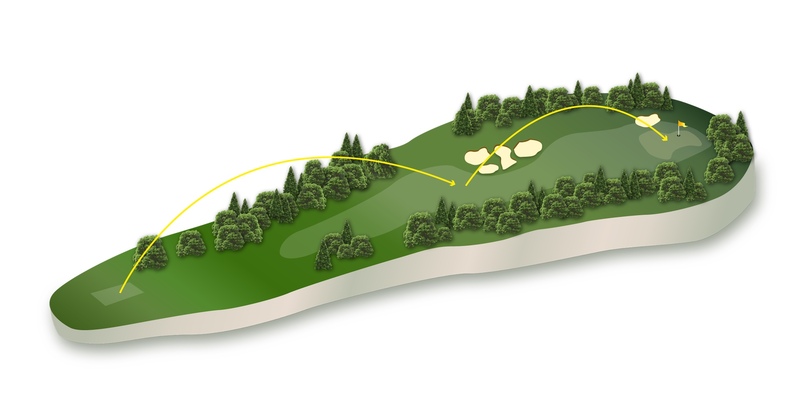 Should be renamed ‘Oosthuizen’ after his sensational four-iron albatross there in 2013. 3) Flowering Peach. 350 yards. 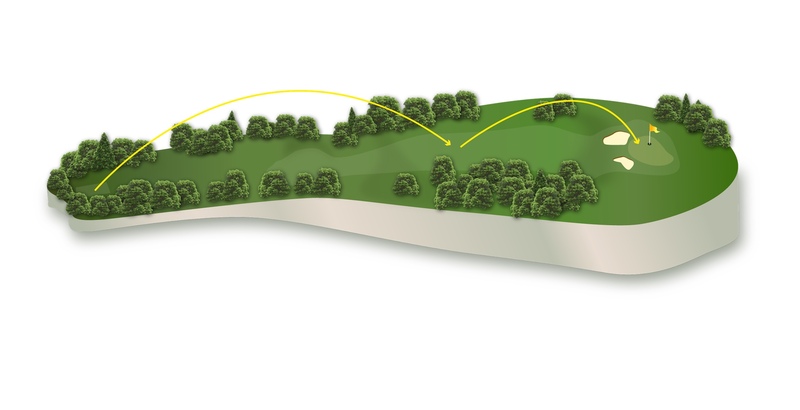 Hit a long-iron short of the fairway bunkers then choose your short-iron wisely to attack the green up the hill in front of you and slopes viciously from right to left. 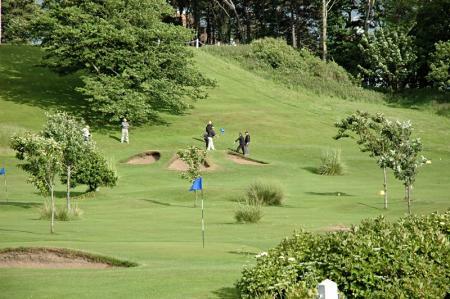 Alistair McKenzie believed this hole to be almost perfect in design and it has been tampered with least on the course. 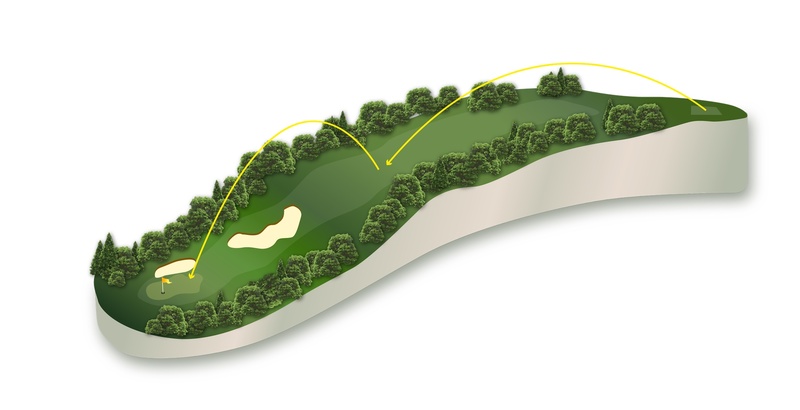 Fact: Despite being lengthened twice, the course still retains the same yardage as when the course opened. Someone made a booboo, methinks. 4) Flowering Crabapple. 240 yards. They moved this tee back 25-yards in 2010, to make an already difficult par-three harder still. It was the hardest hole in 2013. 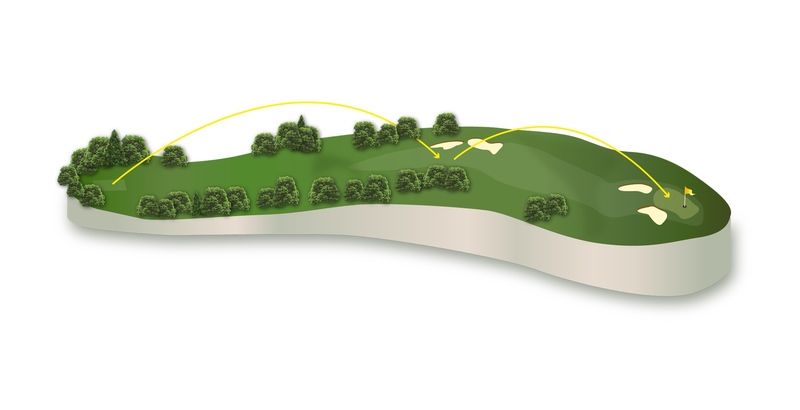 They mischievously play with the tee positions so it can play anywhere between a five-iron and a five-wood, but the target should always be to avoid the deep bunkers and find the middle of the green. Fact: This hole was originally modeled on the 11th at St Andrews, but if the original design still existed today it would be unplayable at modern green speeds. All this modest uphiller requires of you is to smash a 315+ drive so to absolutely avoid the two vast fairway bogey magnets. From there it’s a mid-iron to a green with more up and downs than a pinball and that was originally inspired by the Road Hole at St Andrews. She looks pretty basic as she drops down from the tee to the Amphitheatre of a green, but you have to hit this slopey green. Long is going to leave you an impossibly scary up and down, short is a deep trap that requires practice and a prayer to escape from. 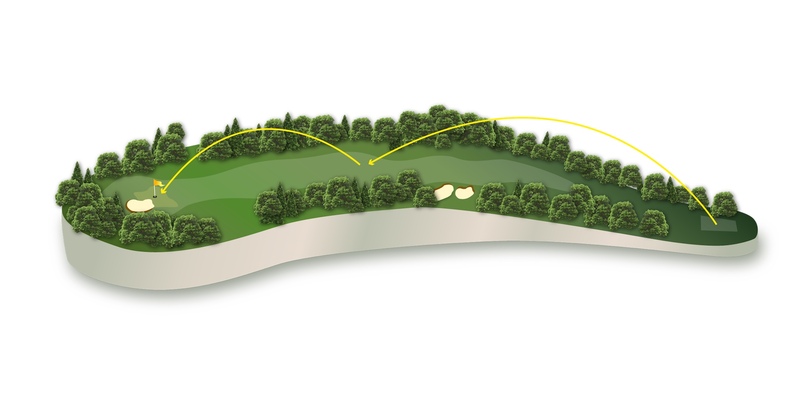 Fact: Jamie Donaldson aced this on his debut in 2013. “Be right,” he called as it tracked the pin. It was. While the surrounding pines provide the needles, players will have to provide the thread thin accuracy with which to play this hole. The new tee and trees built in 2006, have only made this tee shot all the more daunting – a 3-wood or driver depending on how confident players feel – leaving a mid-iron to a green that appears like a postage stamp of green amid a moat of white sand and slopes both ways from the apex in the middle. Fact: Thank Horton Smith for all this. He redesigned it after the hole was considered ‘not to standard’. 8) Yellow Jasmine. 570 yards. Despite weighing in at a hefty 570-yards, this Jasmine can be deflowered with two big blows. A good drive down the left will steer you wide of the bunker and then it’s just a simple blind three-wood, sneaking it around the trees over the brow of the hill aiming to hit the front of the green and get it running down to the applauding grandstand. Piece of piss. Fact: Bruce Devlin owned this hole in 1967. He had a double-eagle and three birdies over the week. He was six-under on just this hole. 9) Carolina Cherry. 460 yards. You’ll recognise the spectator walkway that players now regularly smash into as they take advantage of the elevated tee and tank it down over the corner. 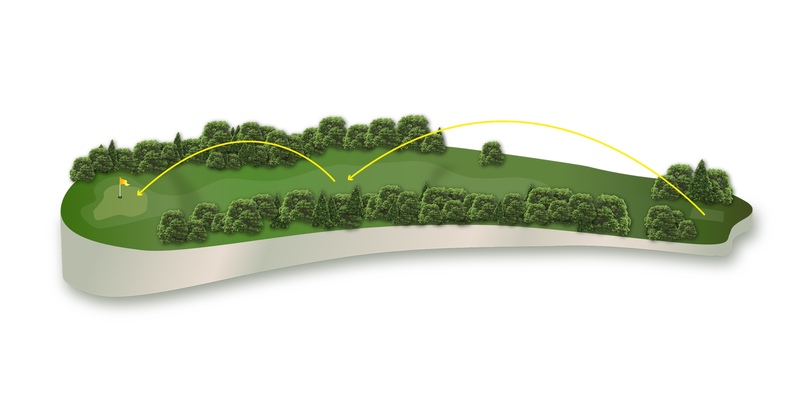 From there it’s a short-iron uphill into the green which has three tiers and it’s important to get your ball on the right level. Many have done the hard work and then are made to look very foolish as their approach shot trickles down to their feet. Where the excitement starts to happen. Where Rory melted and Bubba shone. It’s a monster down the hill that needs a hard hook from the tee. 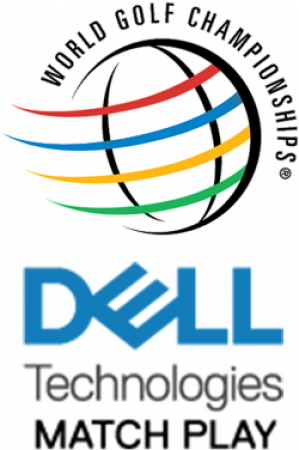 After that comes what Fred Couples called “the toughest three shots on the course”. You’re approach is rarely on a flat lie and you’ve got to get that ball onto the green without finding the bunker right or the steep run off left and the green is slippier than freshly greased bowling lane. 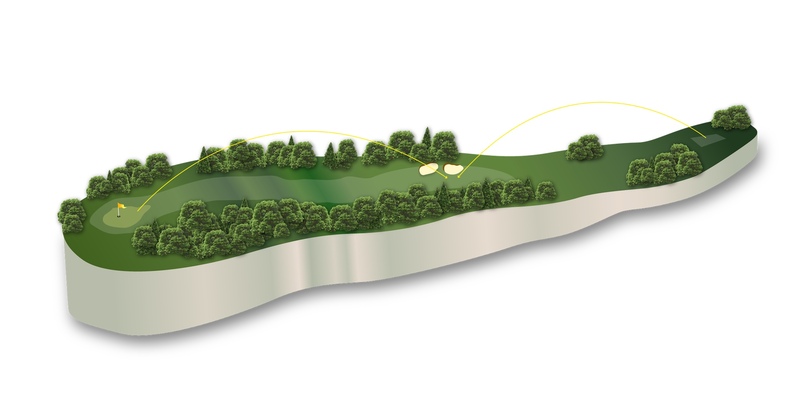 Fact: Where Bubba Watson famously hooked a 52-degree wedge some 50-yards from deep in the trees and on to the green to break Louis Oosthuizen’s heart. Watson’s caddy maintains it was only the third best shot he’d hit that week. 11) White Dogwood. 505 yards. Time to start praying. It’s Amen Corner. 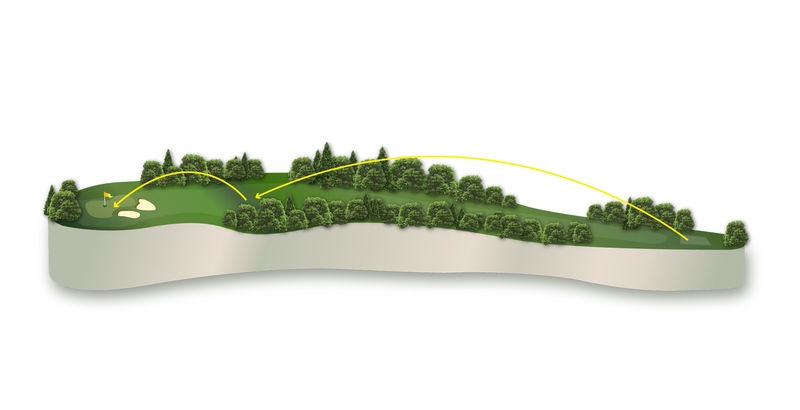 And one of the toughest par fours in golf. 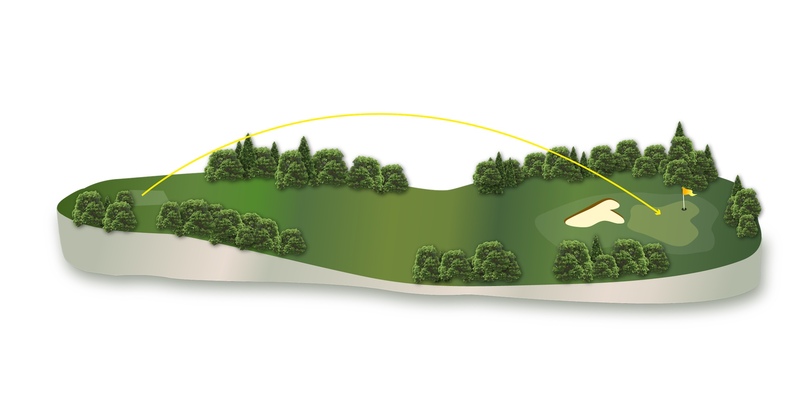 Your drive has to be long and pinpoint accurate, but that’s just the start. From there the wind will swirl around you as you stare down at the green, crouching behind an ink black lake that is just wishing you to be an inch out. You used to be able to bail out right, but they raised the green because if you want to win around here, they want you to do it proper. 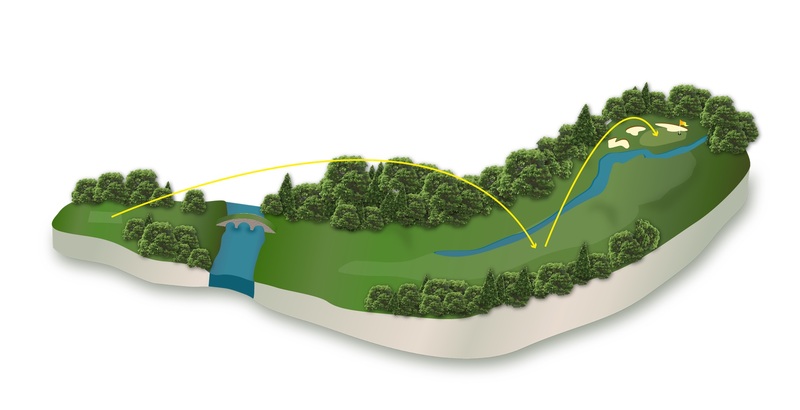 Fact: “If you see my ball on the green in two you’ll know I missed my second shot,” said Ben Hogan whose strategy was to play safe and avoid the water. So to Larry Mize, who chipped in from 140-feet against a hapless Greg Norman in the 1993 play-off. 12) Golden Bell. 155 yards. With every blow struck at this hole you can hear the intake of breath that is only released when the ball lands. It looks innocuous, but the 155-yards over Rae’s Creek have recorded every score from 1 to 13 over the years. And that knowledge means that every time the wind swirls, the trees shake or the crowds roar, then the players panic and all they have is their god-given skills to get through this place. Fact: Claude Harmon made the first hole in one here. In 1988 Curtis Strange scored 1-2-3-4 over his four rounds on this hole. Jack Nicklaus once hit a shank of this tee in 1964. 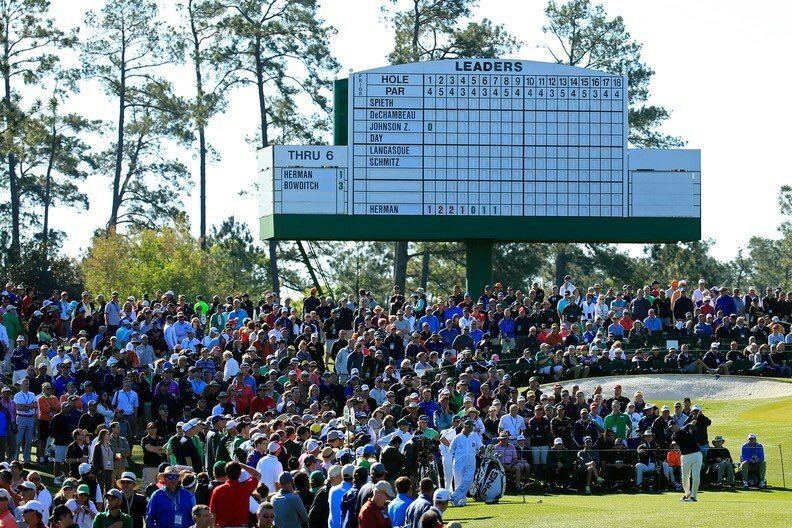 It’s where Phil and Faldo won their Green Jackets, but where many others have lost theirs. 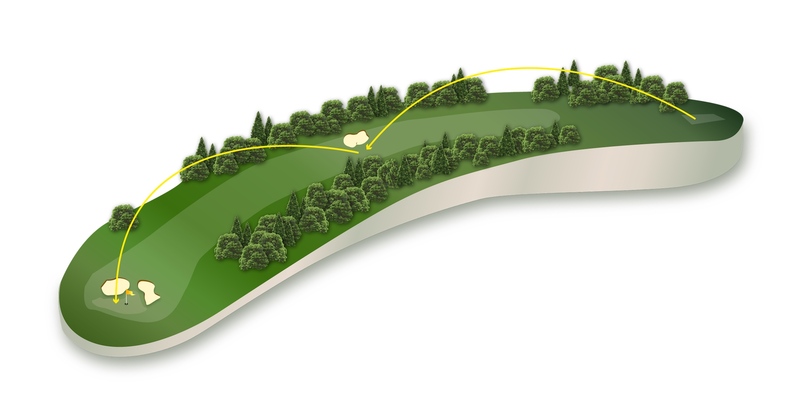 A classic risk/reward par-five where a big draw on the tee and set you up for an eagle, but where one tiny branch or fractional mis-timing will have you wet, sandy or in a place you wish you’d never ever seen. Fact: In 1937 Byron Nelson went birdie-eagle on 12 and 13 to make up six shots on Ralph Guldahl. Nelson went on to win. 14) Chinese Fir. 440 yards. 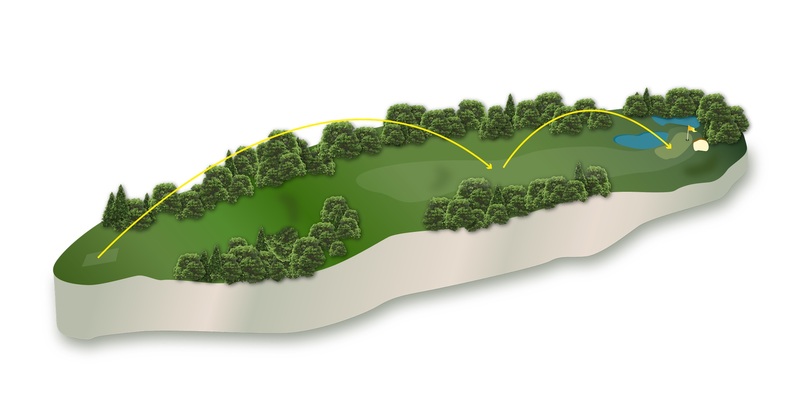 Out of the chip pan and into the ‘fir’ with a par four that demands you sling one hard into the fairway or it will spit you down into the pine trees on the right. Having achieved that you are left with a short-iron that over four days you’d happily trade your players badge for to guarantee it in the right spot. 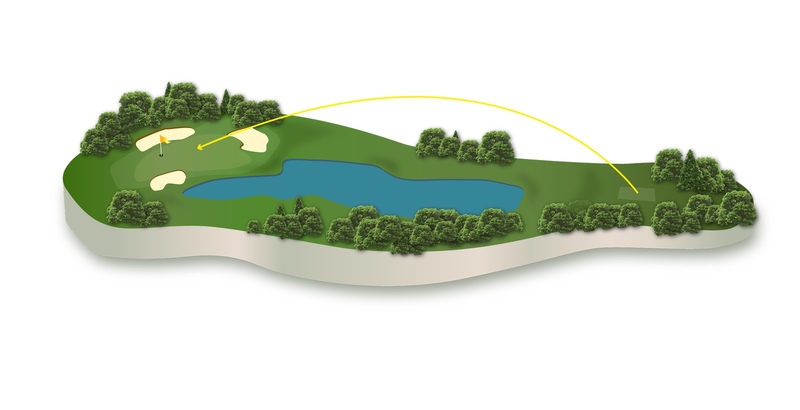 Fact: The only hole of the course without a bunker. In 1982, Dan Pohl went eagle, eagle on 13 and 14. 15) Fire Thorn. 530 yards. Where Gene Sarazen played his shot heard around the world in 1934 and where Tiger played his drops heard around the world last year. The action really heats up on 15, and the players know that this is where they can break necks or cash cheques. Where a good drive can open up another eagle or birdie opportunity, but where even finding this narrow green in two is no guarantee of walking off with any less than a par. Keep you heart and hands steady. Fact: If you dunk it in the water from the drop zone, you have to drop it in the same place and not in a place two paces backwards. So we’ve heard. Depending on the wind it will play anywhere between a six to a nine-iron and once you’ve worked out what club to hit the real fun begins. 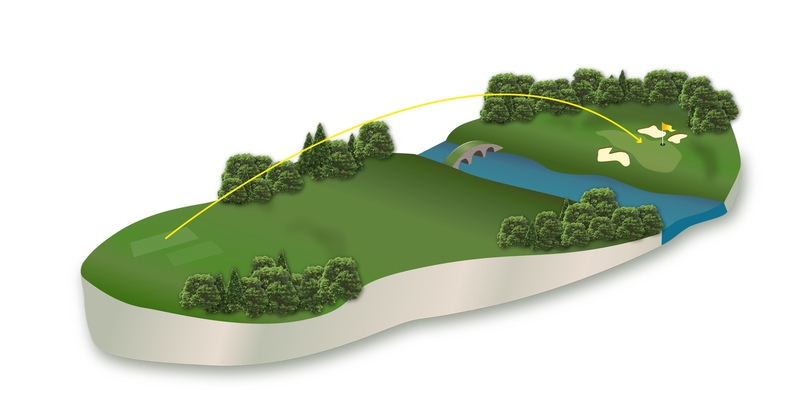 You fire over a lake that stretches all the way to the green, which is built into a slope so vicious that if your ball isn’t spinning like a dryer attached to a drag car engine then it will roll down the hill towards a watery grave. You don’t need to create drama here (though who can forget Tiger’s chip in 2005). Just play safe and the hole will provide its own drama. Fact: This wasn’t part of Jones and MacKenzie’s design. It was completely remodeled in 1947 on Clifford Roberts orders and while they were carving out the lake it rained so hard they had to abandon the diggers as they became submerged in water. She’s going to look different this year after Eisenhower’s Tree – a pine that dominated the left view from the tee - was brought down in winter storms. He only really bothered old Ike and not today’s players who blast over it and are then faced with the dark art of holding it on the raised green with its sharp run offs at every edge. 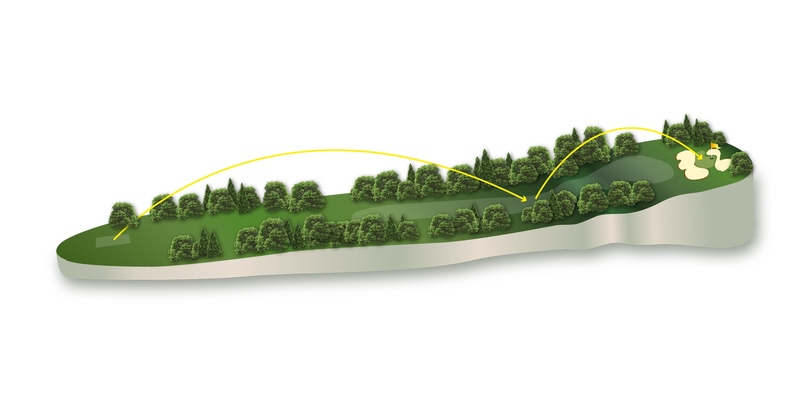 Fact: Nandina is a good luck symbol in Japan, so back Hideki Matsuyama heavily if he is in the frame on Sunday. Ray Floyd three-putted this green in 1990 as he blew a four-shot lead and handed the Green Jacket to Nick Faldo. "The pressure basically got to me. Isn't that choking,” he questioned. Time to carve your name into history. Smack it at the bunkers on the left elbow of the fairway, now 335 yards away after a tee change in 2002. 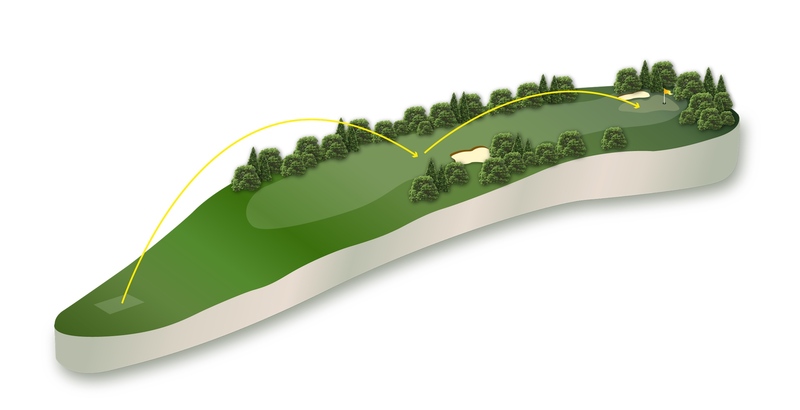 Most players will aim at them and hit a fade leaving anything from a four-iron to an eight-iron depending on the wind, that you fire up the hill and hopefully into the middle of the green. There it’s just you, one stroke and glory. Fact: You remember the putts that win (Mickelson, Lyle, Woosnam, Nicklaus) but many have failed on this green including no less than Hogan, Palmer, Green and Sneed. 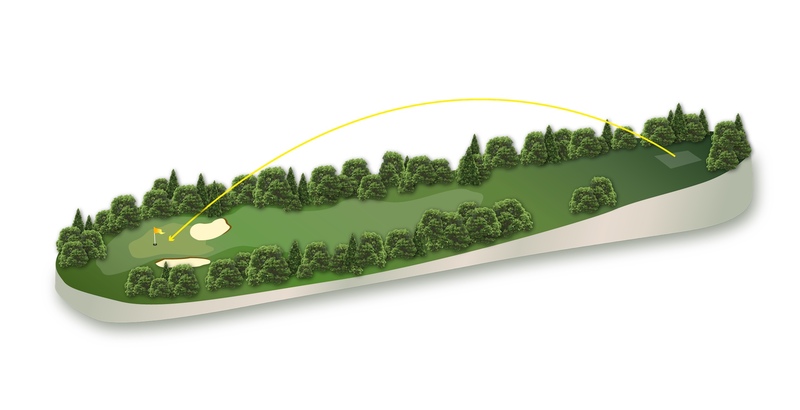 A golf publication, particularly in a Masters article to kick-off Masters Week, should get it correct that Louis Oosthuizen's 4-iron into the cup on #2 in 2013 was not for an eagle but an albatross.